Hudson Outerwear Black Mesh Shorts Wild Tigress 2XL (click photos to enlarge.) Condition: New -..
Hudson Outerwear Men's White Shorts (click photos to enlarge.) Condition: New - Store Shelf Pu..
Hudson Outerwear White Shorts Drawstring (click photos to enlarge.) Condition: New - Store Shel..
IZOD Big & Tall Red Plaid Long Sleeve Shirt XLT (click photos to enlarge.) Condition: New -..
IZOD Big & Tall Quarter-Zip Sueded Fleece Pullover 2XLT Forest Night Green NWT Size: Big & ..
IZOD Van Heusen Button Front Shirt Green B&T XLT (click photos to enlarge.) Condition: Ne..
Levis Long-Sleeve Woven Shirt (Linen/Cotton) Abbey Shirt Teal Black Grey MED (click photos to enlar..
M151 Leather-Lined Camo Pattern Belt Size LG (38-40) (click photo to enlarge.) Condition: New -..
Men's Basketball Shoes Blue Rycore 8.5 (Click photos to enlarge.) Size 8.5 Country or Region ..
Men's Basketball Shoes Blue Rycore 9.5 (Click photos to enlarge.) 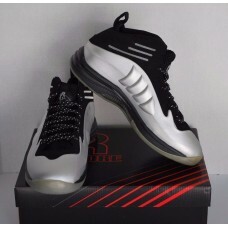 Size 9.5 Country or Region ..
Men's Basketball Shoes Silver Rycore Size 10.5(Click photos to enlarge. )Condition Notes: New Overst..
Men's Basketball Shoes Silver Rycore Size 11.5(Click photoes to enlarge. )Condition Notes: New Overs..
Men's Big & Tall Blue Jeans Sean John 40T Wash: Rinsed, Indigo Material: 100% Cotton Country/.. Condition Notes: New Overstock; never placed on shelf. Box has shelf wear.Size 10M | "Melbourne" |.. Condition Notes: New Overstock; never placed on shelf. Box has shelf wear.Size 7.5M | "Melbourne" ..